Developing global and local prosperity for your business with our online marketplaces. 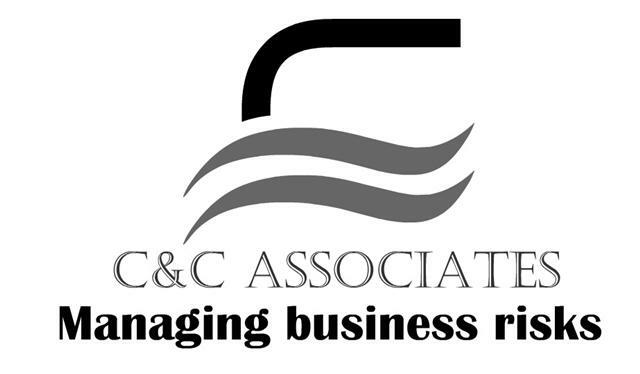 We are sharing insights and developing services that offer new ways to increase your revenue more profitably to create value for your business and reinvigorate growth and innovation to improve your business performance. 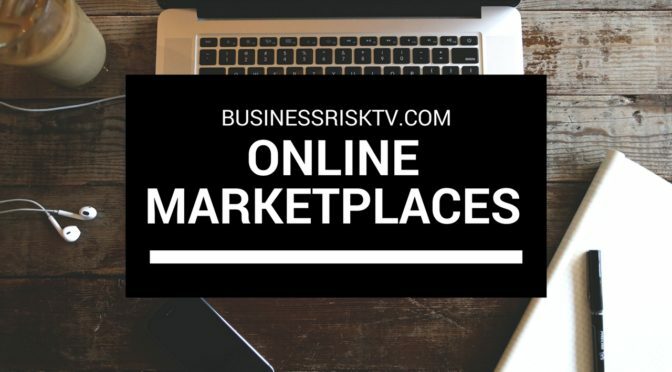 BusinessRiskTV bringing together brands businesses and entrepreneurs in marketplaces to connect sellers with buyers online. We are promoting marketing and advertising businesses to connect them with new customers around the world. Use our emarketplaces to help your business grow faster more profitably. Find an affordable space to make selling your products or services easier and cheaper. Get your space in front of new customers online. Our marketplaces, exhibitions and magazines can help your business reach out cost effectively to new customers on your doorstep and on the other side of the world. We can help you sell more profitably to grow your business faster longer with less uncertainty. Online marketplaces help to lower the cost of marketing small and medium-sized businesses to more manageable and sustainable proportions. Our marketplaces may be a better marketing and advertising option for you company. Find out more by completing the form at the bottom of the page. Minimise the cost of growing your business faster. The upside risk to your business is often overlooked. To ensure your business is more sustainable you need to address this half of business sustainability. Get the most from every penny of your marketing budget. Ambitious growing businesses can make their marketing pay back more. Listening intently to what you want to achieve for your business enables a bespoke online presence to develop. Really understanding how your business works enables us to work out what you need to deliver more sustainable business profits. Present your products or services in a way that maximises your profit. Maximise the return on your investment in your own business. Develop a new sales strategy to maximise your revenue. Business enterprise risk management marketplaces to promote and market your business products and services to boost your business growth. How do you develop a fresh marketplace for your business to sell more profitable. 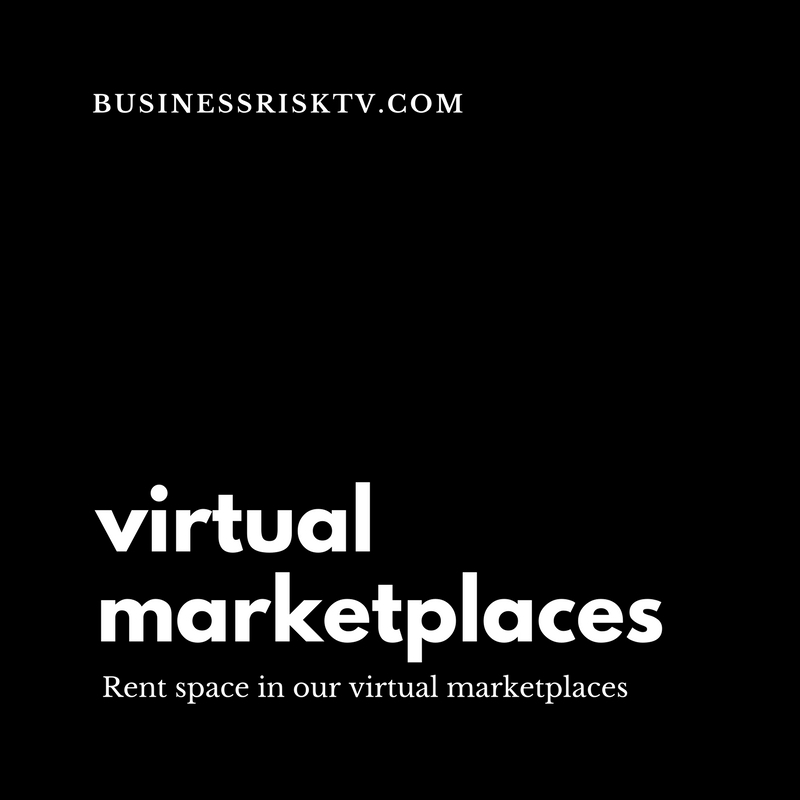 BusinessRiskTV Online Marketplaces can get your business products or services in front of business decision makers and consumers who are thinking about buying your type of offering. Fighting to get your business noticed is one of the critical battles for business leaders to win. Your competitors may have a big marketing budget or sales development team. Competitors may not have the best products or services but if they can get their offering in front of potential buyers before you, you could be missing out in new sales. Our solution is to be more innovative. We can deploy a marketing strategy to cost effectively and sustainably get your business products or services in front of people who are ready to buy right now. Firstly we listen to your needs. Secondly we find out what existing marketing material you have that we can use on your behalf. What images, logo, website, social media accounts corporate brochure information leaflets catalogue videos etc do you already have that you can send to us to enhance your marketing with us? We will decide how best to market your business with our tools and techniques and prepare the ground so you can see what we have done for you. If you like what we do for you, you then decide how much you want to pay us. If we like the figure you come up with we run your marketing campaign. Your marketing campaign can morph and change according to the level of success we see. If you are selling at a rate you want we can keep up to sustain your business growth. If it is not working well enough we can change it until it does produce the results you want. Marketplaces is open to any type of business because we can tailor our approach to any business needs. For best effect Marketplaces marketing should be paired with other types of marketing on our social media accounts and other websites to maximise the return on your investment. If you have spare service capacity or unsold products it is costing you money at least an opportunity cost. We can help your business grow faster so why not get in touch today for FREE to see what we can do to help you sell more tomorrow. Tune in to our shopping forums to find what you are looking for easier and cheaper. Use our social media services and websites to innovatively boost your profit more sustainably.